The symptoms of a stroke can hit when you least expect it. Hear Tonya Parr’s story and learn the importance of identifying the warning signs of a stroke. 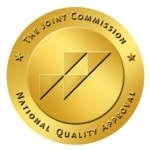 United Regional is proud to have achieved the distinction as a Joint Commission Primary Stroke Center Certification. The Joint Commission’s Certificate of Distinction for Primary Stroke Centers recognizes centers that make exceptional efforts to foster better outcomes for stroke care. Achievement of certification signifies that the services we provide have the critical elements to achieve long-term success in improving outcomes. It is the best signal to our community that the quality care we provide is effectively managed to meet the unique and specialized needs of stroke patients. United Regional treats approximately 400 stroke patients annually and serves as the hub of the area’s Stroke Network. For the seventh consecutive year, United Regional has received the Gold Plus award from the American Heart Association and the American Stroke Association. The American Heart Association (AHA) and American Stroke Association’s (ASA) “Get With The Guidelines” program helps ensure the care that hospitals provide to their patients with stroke meets the latest evidence-based guidelines. United Regional’s Stroke Program was developed to increase public awareness of stroke, its risk factors and warning signs. Stroke is the third leading cause of death in the United States and the leading cause of adult disability, but most people do not even know they are at risk. Many do not understand the prevalence of the disease or understand what the risk factors are for stroke. In addition to a broad educational campaign, United Regional focuses on clinical efforts to reduce the time it takes to diagnose stroke and be more aggressive in treating stroke.